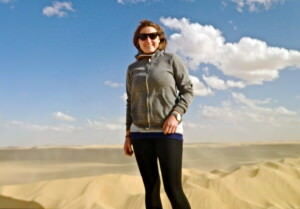 Andrea Boland poses for a picture with Egyptian sand dunes. She spent two months in the country. 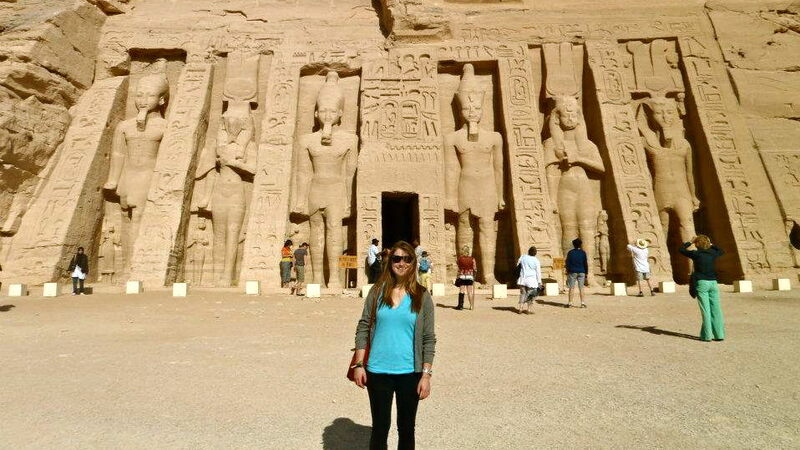 Some might think a trip to Egypt is daunting, but for Andrea Boland, it was a trip she has no regrets about taking. The year before had been the Arab Spring. Cable news was wrought with headlines about the ousting of President Hosni Mubarak from power. Protests were still going on when the Toronto-native arrived in May of 2012. But rather than finding a country in disrepair from infighting, Andrea said the people of Egypt impressed her with their hospitality. Andrea saw the extent of that hospitality while she was traveling in Cairo with her traveling partner. 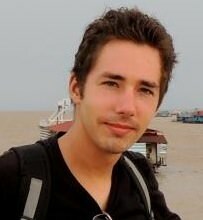 He had introduced Andrea to his friends while they were backpacking across Egypt. However, Andrea said she did witness some of the uprising against then Prime Minister Mohamed Morsi while she was in Egypt’s capital city. But traveling outside Cairo led Andrea to discover some of her favorite spots inside Egypt. There was scuba diving in the Red Sea, then there were the oases, including Siwa. 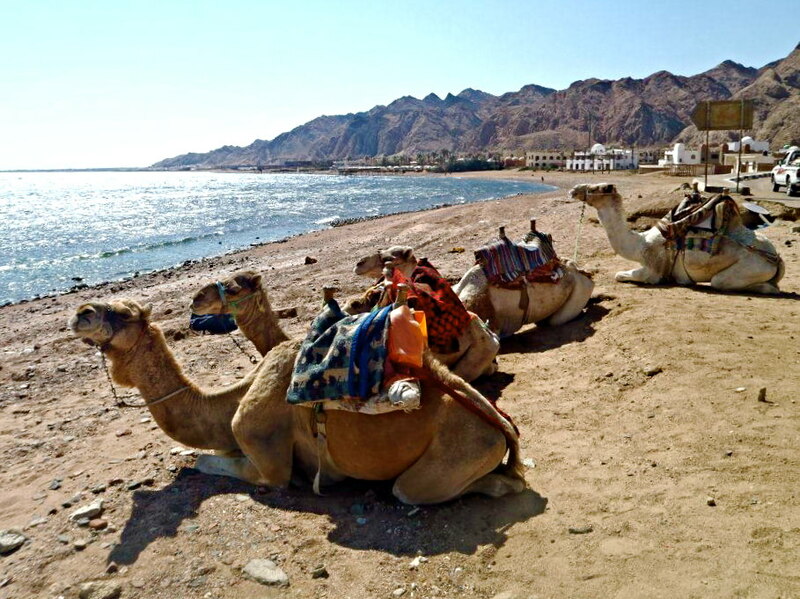 Camels rest at the Red Sea. Courtesy of Andrea Boland. Andrea said she coincidently ran into a group of travelers she had met in Turkey, then rented some bicycles to ride around town with them. Aside from the scenery and people, Andrea also spent part of her time in Egypt as an extra for a film. Andrea stands in front of the entrance to one of the Abu Simbel temples. The temples were constructed more than 3,000 years ago. Costume criticisms behind her, Andrea said she enjoyed her time in the film, but probably won’t be signing up to be an extra anytime soon. Instead, Andrea left Egypt after two months of traveling with some amazing stories and an understanding of a different culture.